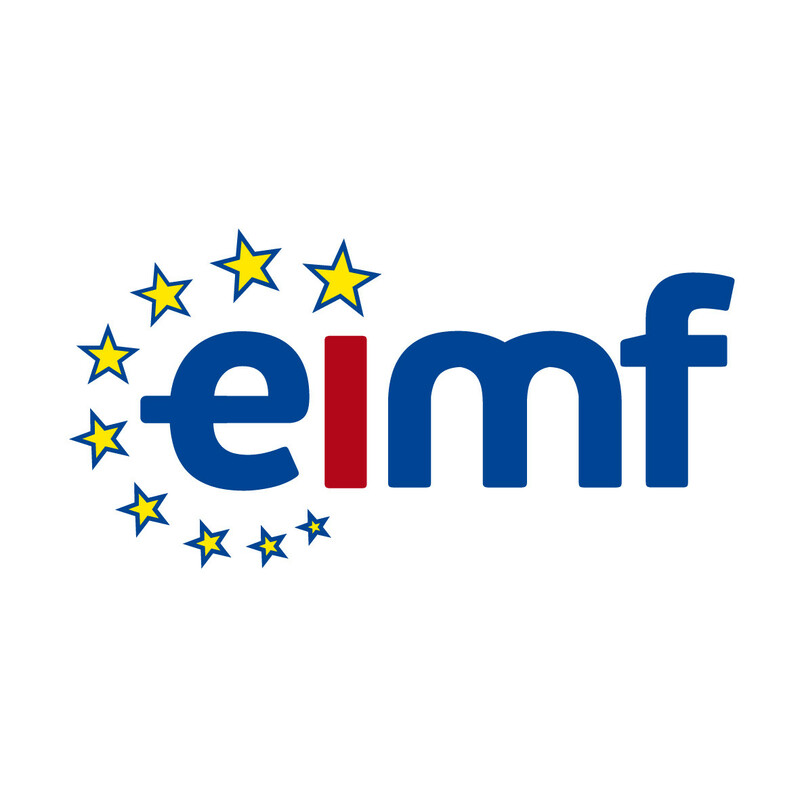 EIMF has access to a team of over 40 expert trainers, both local and from overseas, spanning almost every aspect of business, finance and management. Our trainers are highly qualified professionals with years of experience and backgrounds in just about every aspect of the financial services sector. Furthermore, most of our trainers have extensive experience working in different parts of the world, which adds a wealth of knowledge and differing perspectives to the training experience offered. This expertise enables us to provide professional and executive education training that applies the latest theories blended with practical case studies that are based on their own familiarity with the financial services sector. We advise our trainers to create and use their own content and materials so that their teaching is realistic and personal. EIMF then provides them with assistance in designing the training so that it can adapt to the learning styles of individual participants. It is our belief that teaching adults is inherently difficult so we work hard to make sure that our trainers are using the best available teaching methodologies suited to the needs and interests of the diverse adult training participant. Furthermore, our trainers themselves are highly trained individuals, as EIMF provides them with “train-the-trainer” learning opportunities on an annual basis. Adam Samuel is a lawyer qualified in the UK and the USA. Since 1996, Adam has run his own training and consulting business, helping out regulators in three continents on customer-facing issues. He has the qualifications required of a financial, mortgage and equity release adviser and the UK CISI compliance diploma. Adam wrote the only book on consumer financial services complaint handling in the UK and a guide to the SFC Code for Intermediaries in Hong Kong. The Gibraltar Supreme Court followed his expert evidence in van Geens v. Jyske Bank on product risk, compliance and advice standards around the world. Adam has broadcast on a number of BBC domestic and World Service programmes, including the national news, on financial services compliance and banking issues. Adonis Pegasiou holds a PhD in Politics (University of Manchester), an MSc in European Policy Studies (University of Bristol) and a BSc in Economics (London School of Economics (LSE)). He has recently undertaken the professional course ‘Diploma in Governance, Risk and Compliance’ and has since been a Professional Member of the International Compliance Association. Following his doctoral studies, he held positions in the public and private sectors including Cyprus Airways, the Secretariat of Cyprus Presidency of the Council of EU, the Embassy of Kuwait in Cyprus and the Cyprus Cooperative Bank. In between his professional appointments, Adonis Pegasiou was awarded post-doctoral research funding by the Research Promotion Foundation of the Republic of Cyprus to examine the ‘Europeanisation of Cyprus’s economy’. For the duration of the post-doctoral project, he was based at the EUC Research Centre and was also a Visiting Fellow at the Hellenic Observatory of the LSE. 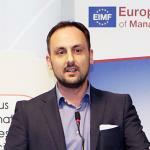 Alexandros Constantinou is a Director and the Head of Compliance Services and Research Department of MAP S.Platis. He has extensive experience in advising international financial services organisations on regulatory and risk management matters. Alexandros joined MAP S.Platis in 2008 and since then he has led and developed the compliance support services and regulatory research division of the firm. His work involves, inter alia, the provision of consultation and opinions to a large number of internationally-active Investment Firms and Investment Managers on legislative matters such as MiFID, MiFID II/MiFIR, EMIR, AMLD 4, AIFMD, UCITS, PRIIPs/KIDs, Market Abuse, Transparency. He frequently contributes to the advancement of local and European regulation and acts as an instructor and speaker at numerous seminars, training courses and other events on regulatory and compliance matters. Alexandros is an MCSI member of the Chartered Institute for Securities & Investment (CISI) and holds an Advanced Certification from the Cyprus Securities & Exchange Commission. He also holds a BSc in Computer Science from the University of Reading (UK) and an MSc in Finance and Investment from the University of Edinburgh (UK). Since 2013 Alexios Kartalis has been the General Manager of GMM Global Money Managers Ltd, a mutual funds (UCITS) and alternative investments (AIF) management company. Prior to his appointment to GMM, Alexios was the General Manager of BNP Paribas Securities Services in Athens for 9 years where he previously served as Head of Operations for 6 years. Alexios also worked in the Securities Department for Citibank Athens. Having a 24+ years of industry practice, Alexios frequently delivers business trainings in the subjects of AML, CRS & FATCA, Fund Administration and Custody. Furthermore, he has also been an academic instructor of Finance for the New York College. Alexios received his European MBA in Finance from ESCEM School of Business Management, his Bachelor’s degree in Statistics from Athens University of Economics and Business and is certified as a Hellenic Exchanges Derivatives Clearer, Advanced Licence holder from CySEC and an HRDA trainer. Alla Konnikov is an Associate Professor and Director of the Law and Business Programme at the University of Law in London, U.K. Her research and teaching focus on contract and business law, equity and debt finance, mergers and acquisitions and legal skills. As a Director of Law and Business, Alla has helped develop and teach a number of the innovative courses tailored for lawyers, including global economy, financial analysis, corporate finance, marketing and business development, strategy and leadership. Alla Konnikov earned her undergraduate degree in International Relations and Psychology (Hon) and a MSc in Psychology (Hon) at Columbia University, USA. She received her law qualification (Distinction) from the University of Law London, UK. 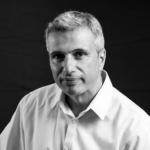 Andreas Solomou has been actively involved in the field of project management and education for 18 years. He has successfully managed a large number of product development projects as well as educational programs. He is a Certified Project Manager (PMP) and a Microsoft Certified Trainer (MCT). He also holds MCTS (Microsoft Certified Technology Specialist) certification for project management using information systems. He is an associate instructor at various educational institutes and delivers train the trainer courses for the ECDL Foundation (CTP-Train the Trainer). 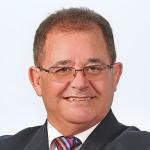 Antonis has over 40 years of international professional experience in non-life and life insurance with specialization in construction and large infrastructure projects insurance programs. Managed the insurance programs of multi-million-dollar projects such as airports, highways, sports centres, housing complexes, dams residential and office buildings etc. in the UAE, Saudi Arabia, Libya and Cyprus. He has over twenty years of life insurance general management experience in Cyprus and Central Europe with large multinational insurers. Holds a bachelor’s degree in business from SUNY and an Executive Development Diploma from the Wharton School of the University of Pennsylvania. He holds the title of Chartered Insurer, he is Associate in Risk Management with the Insurance Institute of America, and a Fellow of the Life Management Institute. He is a certified risk management professional with the Federation of European Risk Management Associations (FERMA) and a PECB certified ISO 31000 Lead Risk Manager. He is also a certified trainer with the Human Resources Development Authority (AnAD) of Cyprus. Mr. Athos Myrianthous is a senior Legal Advocate with expertise in Finance and Commercial Law. He holds an Honours degree in Law (LLB) from Queen Mary University London, a Masters Degree in International Commercial Law (LLM) from the University of Westminster and a Masters Degree in Finance (MSC .SH) from Cass Business School, City University. He is a member of the Cyprus Bar, the Cyprus Investment Funds Association (CIFA) and a holder of CYSEC’s Advanced Certificate in Financial Services Legal Framework. He held various positions in the Legal and Finance Sector and provided expert advice and technical assistance in Finance Law, Funds Law and International Commercial Law both on a local and International level. He is currently a Manager in BDO Fund Services, specializing in Fund Set Up, Administration and Compliance. Bobbi is a qualified Chartered Accountant (ACA), member of the Institute of ICAEW and ICPAC. She also holds a BSc in Management Sciences from the University of Manchester Institute of Science and Technology (UMIST). Bobbi was employed in the Audit Department of a Big Four firm in Cyprus for 10 years, and during this period she obtained extensive experience on auditing clients from different backgrounds and business sectors. Her portfolio of clients included firms operating in the Shipping Industry, Holding and International Investment Entities. Bobbi participated as an instructor for various internal training programs focusing on the audit methodology. Bruce Lawrence, has over 43 years securities industry experience, provides consultancy, training, advice and technical assistance principally focused at the securities servicing arena and the development of the capital markets infrastructure of frontier and emerging markets. He has consulted and trained on the full spectrum of securities markets instruments (debt, equity & derivatives), Corporate Governance, Operational Risk, Custody, Clearing & Settlement, Fund Administration and assisted in the creation and further development of Central Securities Depositories (CSD’s), Central Counterparties (CCPs), Stock Exchanges and Domestic Custody Operations. Assignments have taken him to the following markets: Albania, Estonia, Ghana, Jordan, Kuwait, Mongolia, Pakistan, Qatar, Nigeria, Russia, USA, Uzbekistan and Vietnam. 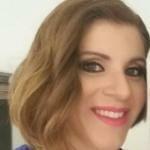 Dr Christina Livada is a Lecturer of commercial law at the Faculty of Law of the National and Kapodistrian University of Athens. Her main fields of specialization are company law, public and private banking and capital markets law, as well as consumer protection law. She is the author of several books and articles in the abovementioned fields. 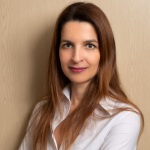 Christina Livada is working for the last fifteen years at the Hellenic Bank Association as a Special Legal Advisor (currently on a part-time basis), responsible for the regulatory issues pertaining to banking, capital markets and consumer protection law. She is a member of the corporate governance Working Group of the Hellenic Corporate Governance Council for the review of the Greek Corporate Governance Code. She is also member of the Hellenic Association of Banking and Capital Markets Law and responsible for the content of the scientific Review Financial Law. She obtained her PhD from the Faculty of Law of the National and Kapodistrian University of Athens in 2004. Dr. Christina Koni is a practicing Dietician and Scientific Collaborator at the University of Nicosia and the European University in Cyprus where she teaches at the Dietetics and Nursing Departments. Dr. Koni is a graduate of Louisiana Tech University (USA) and holds a Ph.D. from the University of Glasgow where she did extensive research involving many EU countries in the area of environmental/genetic factors and obesity in children which she presented to major international conferences. In addition to her academic work and professional practice, Dr. Koni is actively following her passion of advising people on how to live a healthier and happier life through better nutrition choices and better life lasting habits. In this capacity, Dr. Koni is a regular direct presenter to groups, as well as invited guest in radio and television programs. Konis holds BS and MS degrees in Engineering from Louisiana Tech University USA and a PhD in Management Science from the University of Stirling in Scotland. Dr Konis is the former CEO of the Cyprus Technology Foundation and the founder and CEO of Innovage Consulting, a boutique consultancy based in Nicosia, Cyprus. Mr. Constantinos Papanastasiou has 15 years of experience in investment banking and currently services as the Head of Investment Banking at The Cyprus Investment & Securities Corporation Limited (CISCO), Bank of Cyprus Group. Mr. Papanastasiou is also a member of the Board of Directors of Cyprus Airways Public Limited and a Lecturer for the CFA Program to CFA Candidates at the European University and the Cyprus International Institute of Management (CIIM). He also formerly served as President of the CFA Society of Cyprus. Mr. Papanastasiou is a Charter Financial Analyst Charterholder from the CFA Institute, and also holds a Corporate Finance Qualification from the Institute of Chartered Accountants in England and Wales, a Certificate in Company Direction from the Institute of Directors UK, and certificates from CySEC for the provision of advice for investments in financial instruments, underwriting, and portfolio management. Christos Makedonas, CIPP/E, CCFP, CEH, CFIP, CISA, CMI, CSIS, ECSA, MSc Christos Makedonas is a Director and the Head of the Technology Risk Advisory Services at BDO Cyprus Ltd. Christos has lead projects around Data Privacy and Data Protection for financial institutions, insurance companies, healthcare providers, service providers / retailers. During his 12-year work experience, he has also been involved and lead projects in multiple areas and disciplines such as Cyber Security (Penetration Testing, Vulnerability Assessment and Social Engineering engagements), eDiscovery & Digital Forensics, Third-party Assurance, Internal and External IT Audit, Internal Control Design and Evaluation, Risk, Regulatory & Compliance, Business Continuity Management & Disaster Recovery, Business & Operational and Information Risk Management and Strategy, CAATs, and IT Governance. Christos has also extensive experience as a trainer, being a facilitator and delivering workshops and seminars in the domains of Data Privacy (GDPR), eDiscovery & Digital Forensics and Cyber Security in Cyprus and EMEA, and facilitating also IT Audit Professional Qualification seminars, such as the Certified Information Systems Auditor (CISA) review course by ISACA. 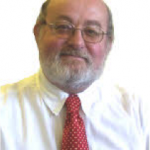 A training and development consultant since the 1980s, David Cotton specialises in leadership and management development, soft skills training and business strategy. He spent over 20 years with two of the ‘Big 4’ consulting firms, first at Arthur Andersen and then at PwC, where, after working in IT systems design and development, he led a team of 100 trainers in 26 countries and then moved into a client facing role in which he specialised in managing training around major change projects for some of the firm’s top clients. A prolific author, David has won publishers’ best-seller awards for two of his 15 books and two international awards for an e-learning package on electronic marketplaces (online B2B exchanges). He has designed electronic performance support systems and e-learning programmes and has scripted and directed a customer service training video. David has worked in four continents and more than 45 countries. David Loader is Managing Director of the London based Derivatives and Securities Consultancy Ltd (DSC). DSC provides various consultancy and educational services to a wide range of financial institutions globally. 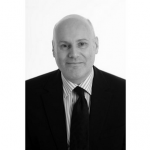 David has over thirty years’ experience in the finance industry, particularly in operations, gained in a number of major organisations including SG Warburg Group where he was Operations Director. He is heavily involved in financial education and training, as a Director of Computer Based Learning Ltd (providing e-learning solutions to the financial services industry), and as an author and presenter of training courses for The Securities and Investment Institute. David is a member of The International Guild of Bankers, The Institute of Directors and The Securities and Investment Institute. Demetris is the Executive Director and Portfolio Manager at Hanseatic Capital Management, a fund management company. Before his appointment at Hanseatic, Demetris was the Chief Financial Officer of D. Nicolaou & Sons Ltd. He also worked at Alpha Bank as Head of Asset Management and in the USA at Emerging Markets Management as Co-Portfolio Manager. Demetris is a Non-Executive Director of Axia Ventures, an investment banking firm. He previously served as President of the CFA Society of Cyprus. the American University in Washington, DC. Demetris is a Trade Finance professional with an eighteen-year banking experience. He is currently the Trade Finance Manager of RCB Bank Ltd and has also worked for the trade finance departments of another two financial institutions in Cyprus. Other areas of professional experience include correspondent banking, payments and finance and leasing. In 2010 he has gained the highest country marks in the examination for obtaining the certificate in ‘Certified Documentary Credit Specialist’ (CDCS), while he has also successfully completed the ‘Trade Finance e-Learning Programme’ of the European Bank of Reconstruction and Development. He is an Associate (ACIB) of the Institute of Financial Services and holds a Master in Business Administration (MBA) from the Cyprus International Institute of Management and a Bsc Degree in Financial Services from the University of Manchester. Derek is a Chartered Accountant and IFRS specialist with over 20 years of experience in accounting and financial reporting globally. After originally training with Deloitte in Scotland, Derek spent two years in New York with PwC leading the audits of financial statements and internal control of SEC-listed utilities companies. Derek transferred to PwC London in 2006 to lead the audits of several oil & gas and utilities companies, also becoming involved with the development and delivery of IFRS training material. Dr. Dimitrios Patsos is serving as the Chief Technology Officer of ADACOM S.A., a leading Cyber Security solutions provider in EMEA. Prior to joining ADACOM, Dimitrios has served as a Security Solutions Manager at Space Hellas S.A., as a Research Fellow at the University of Piraeus, and as a scientific advisor for multiple technology companies. He has more than seventeen years of international experience in information security and has successfully contributed to a vast numbers of complex information security projects for prestigious multinational Telcos, Financial Institutions, Large Enterprises and Governments in Europe, Middle East and Northern Africa, holding technical, consulting and senior management positions. Ernst van den Broek has over 15 years’ experience in the financial and commodity industry and works as an interim legal counsel in the Netherlands. He has worked for ING Financial Markets, NV Nuon Energy Trade & Wholesale, Rabobank International, ABN AMRO, AFM, Ministry of Finance and various other banks within both their legal and credit departments. Ernst studied law at the University of Amsterdam and holds an MBA degree from the NIMBAS-Bradford Graduate School of Management. He is highly experienced and skilled in drafting and negotiating a vast array of market conform trading agreements in the field of financial and commodity trading including the negotiation of ISDA Master Agreements, CSAs, GMRAs, GMSLAs and EFETs. He provides training on all these documents and is a fluent English speaker. He is also experienced in drafting bespoke documentation (such as clearing agreements, sourcing agreements, tolling agreements, gas storage agreements and structured products documentation), governed by English law or other widely recognised jurisdictions. Fiona is Managing Director of UMD Professional and an experienced senior manager within both the public and private sectors. As a consultant she has worked with a large number of professional firms over the last 25 years, and is an experienced trainer and facilitator, specialising in strategic management and leadership. She was for eleven years Associate Editor of a major scientific journal and series editor of a management book series. She has been published widely in the professional press and appeared as a speaker at conferences in the UK, Europe, USA, Cyprus, Dubai, Hong Kong, Singapore and Korea. Fred Bar is an expert in the European payments industry. From 1999-2006 he was Executive Vice President at Interpay, where he had responsibility for a.o. the Dutch automated clearing house, and then the marketing, sales and business development of all Equens services. He was part of the team that created the merger to form Equens, and served as board member in payments joint ventures and industry bodies. From 2006-2012, Fred worked as a Strategy advisor with EBA Clearing in Paris and Brussels and as Managing Director for Vocalink in London. He also was President of EACHA from 2010-2012 an industry association he helped to found in 2006. 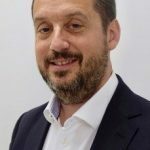 As a partner in Payments Advisory Group since 2013, a consultancy specialised on payments, he works as senior advisor to help clients, in Europe and beyond, to develop strategies and business/IT change programmes and deal with regulatory compliance, in the rapidly developing field of payments. SEPA, PSD1 and now PSD2 have been main themes. Mr. George Natar started his career 25 years ago, as a Sales and Marketing Trainer and Consultant to small companies. For the last 15 years he was working as the internal Trainer and Insurance Mediation Compliance officer for an insurance Company of Cyprus. He is currently working as a Trainer in Insurance and Business Programs and as an e-Learning Representative. He holds a bachelor’s degree in business administration from Deree College – The American College of Greece, and a master’s degree in Marketing from Salford University of Manchester, UK. He is a member of the Insurance Institute of Cyprus, a member of the Cyprus Human Resources Management Association (CyHRMA) and holds a certificate as an approved trainer by the HRDA Authority of Cyprus. Getmar Wesselink is an innovation manager, and an Associate with Payments Advisory Group. Getmar has a strong track record in coupling operations and information technology. This relates with his educational background in Business Administration and Business IT. 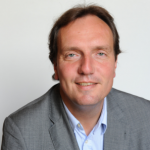 He has been a member of the Business Advisory Board for eight years at Amsterdam School for Applied Sciences. Since 2009 as business and IT consultant focused on various topics within securities, cash services, payments and since 2015 exploring the functional business opportunities for blockchain users and suppliers. Together with Rabobank, D+H and Multichain he set up and executed a proof of concept in the blockchain cross border payments domain which was communicated on SIBOS in 2016. Gregory currently leads the Wealth & Markets Division of the Bank of Cyprus. In the past, Gregory worked with Coopers and Lybrand in Nicosia and held various managerial positions in Cyprus Popular Bank and Bank of Cyprus. He has extensive experience in Wealth Management, in the areas of client advisory and portfolio management, custody and operations. He led the setting up of boutique Private Banking units in the UK and Romania and also served as the Money Laundering Compliance Officer (Group MLCO), responsible for the AML function for Cyprus Popular Bank in Cyprus and all its overseas subsidiaries. Before his current position he served as the Manager Compliance Risk Management for the International Banking, Wealth & Markets Division of the Bank of Cyprus and was responsible for high risk client on-boarding and for providing guidance and training to the management and staff, on AML and regulatory Compliance matters. Gwyn is a former senior manager and leader, Executive Coach and Leadership Learning & Development Consultant who has significant operational and strategic leadership experience. He works with senior and executive level leaders in the UK and internationally to help them identify and assess personal and professional leadership development opportunities. 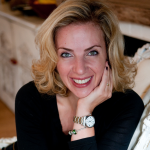 Jamilia Parry is a Managing Director and is based in London. She is a senior regulation professional with significant experience in dealing with the EU, US and UK regulators, including conducting AML, sanctions, misconduct and governance investigations and delivering remediation programmes to fix the root causes of the identified issues. She has held senior executive positions including Head of Change and Operational Risk at Deutsche Bank and Head of Group Compliance at Nationwide Building Society. Her experience also includes structuring and leading regulatory change programmes and remediation following regulatory enforcement action, before joining FTI Consulting in 2014. Jeremy is a trainer and speaker with 23 years of experience working in the digital sector at senior management level, both client side and within agencies. He is a visiting Lecturer and Professor at multiple Universities and Business Schools globally. Jeremy has wide experience in training businesses at all levels and in specific topics related to digital marketing and sales. He is highly experienced in training and mentoring many businesses and brands at all levels including small to medium sized business and entrepreneurs, to build sales and awareness online. Jeremy is passionate about training, sharing knowledge and improving the expertise of professionals worldwide. He is often invited to be the keynote speaker at events around the world and has recently spoken at events at New York, Las Vegas, Moscow, and London and for brands such as Oracle, IBM and Adobe. Jo has over 20 years experience in the industry, and is a Fixed Income and Derivatives specialist. She graduated from Imperial College, London with a First Class Honours degree in Aeronautical Engineering. Her initial financial services career with JP Morgan saw her quickly rise to Director of Fixed Income based in South Africa at Barclays. For the last 8 years Jo has been working as a Consultant to provide technical training for financial institutions on topics such as Derivatives in Fund Management, Exchange Traded Derivatives, Over the Counter Derivatives, Swaps, Fixed Income and Liability Driven Investments. Jo supported many firms through the RDR transition writing and delivering CISI accredited gap-fill courses to many who complete specialist regulated activities. She also delivers CISI courses to college students to develop their knowledge of the financial services industry and is the CISI Principal Moderator for the extended project for Introduction to Securities and Investments for schools qualification. 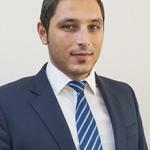 Kalia has worked as a tax consultant in one of the Big four audit firms of Cyprus. She interacted with many clients world-wide and provided them with advisory services. Kalia continued her path as a lecturer in a College in Cyprus, where she was responsible for the development of the ACA route of the College. Kalia taught many courses of the ACA qualification, such as the Financial Reporting, Audit and Assurance, UK and Cyprus tax. Kalia has developed and conducted professional training seminars on Fraud Prevention and Detection, Corporate Cyprus tax, Internal Audit, Corporate Reporting, Indirect tax, Accounting and finance, as well as a variety of business topics to corporate audiences both in Cyprus and in Middle East countries. Her training clients include some of the largest financial and commercial organizations in the Middle East as well as various governments and central banks. 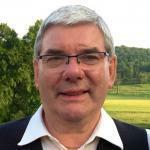 Ken has over 30 years experience in upstream oil and gas: construction, operation, and maintenance. He joined Shell International Exploration and Production in 1971 and worked for 28 years in many locations around the world. Following the Piper Alpha incident he led Shell’s two year, £10M, major overhaul of their permit to work system. He first made use of the Tripod Beta principles during this period. Since starting his own consultancy in 1999 he has worked with some of the leading oil and gas exploration and productions companies in Europe, the Middle East, the Far East, and Russia delivering more than 100 Tripod Beta courses in more than 25 locations around the world. He also has current hands-on incident investigation experience. Ken is a Chartered Engineer, a member of the Institution of Engineering and Technology and holds a postgraduate diploma from the University of Birmingham (UK). Past President of the Greek Institute of Internal Auditors (IIA Greece) for the period 2003-2008. Mr. Triantafyllidis is a graduate of the Athens Economic University in Economic Science and holds an MBA in Banking. He is currently an Internal Audit consultant while he has over 30 years’ experience in external auditing, internal auditing in the banking sector and as Internal Audit Manager in various subsidiaries of Greek Banking Groups. Additionally he has obtained significant further training and practice in Internal Control Systems, Internal Audit and Risk Management and global best practices in auditing . He is a Certified Internal Auditor (CIA), a Certified Financial Services Auditor (CFSA) and possesses the Certification in Control Self-Assessment (CCSA). Furthermore he is a Certified Fraud Examiner (CFE) and Accredited Valuator of the Audit Activity by the International Institute of Internal Auditors (The IIA) a field where he is very actively involved. He is member of the External Quality Evaluators of Internal Audit Units of Eurozone’s Central Banks. Kyriakos is a professional manager with experience in top management positions in the construction and the waste management sector in Cyprus for the last 20 years. He holds a BSc Honours Degree in Civil Engineering with concentration in Environmental Engineering from the University of Maine and an MBA in Finance and Real Estate Finance from the TEXAS A&M University. He is also a Phd candidate in the Business School of the University of Cyprus with specialisations in organisational sustainability and CSR. Kyriakos has successfully managed in his career various companies in multiple business sectors like construction, waste management, recycling etc, ranging from start-ups to large organisations belonging to large multi-business groups. Kyriakos is a HRDA Certified Trainer and a certified GRI professional for Sustainability reporting. In his latest business initiatives, Kyriakos is specialising in Data Protection and the implementation of the GDPR. He has been trained as a Data Protection Officer and a certified GDPR trainer by PECB. He is also a HRDA certified trainer and has presented multiple seminars on GDPR for professionals all around Cyprus. He has recently received accreditation in Advanced Auditing for the GDPR and for social audits under the ISO 26000. Lefki is a former practitioner in sociology and psychology and as such, has a strong understanding of human behaviour and the motives that drive this. Using this knowledge in the design and implementation of her training, enables her to design and deliver programmes that are relevant and practical hence maximizing participants engagement and learning. With a distinctive passion for human improvement and development, she has been actively involved in training and development throughout her 20+ year professional journey, training and coaching both colleagues and clients. 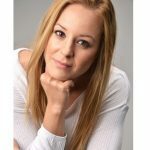 Over the course of this journey, she has earned the reputation as an engaging and effective professional whose excellent communication skills and supportive approach enables her deliver long-lasting results to her clients. Lefki has extensive experience in the training of business professionals as well as coaching of individuals across, levels, industries and areas of specialty. Indeed, she has worked with many renowned organisations including Fortune 500 corporations and Government agencies locally as well as internationally. Her sector experience covers a broad spectrum, such as FMCG, Pharmaceutical, Information Technology, Education and Banking. Some of her most prominent courses include Managing People for High Performance, Harnessing Emotional Intelligence in the Workplace, Effective Communication that brings workplace results and How to Develop and Maintain High Performing Teams, all of which have earning positive evaluations as informative, relevant and practical. Mantha Varela currently works as a Senior Associate in Moratis Passas Law office expertising in Insurance and Corporate Law, both in advisory as well as in litigation. She previously worked for Prime Insurance Ltd, a Cy Insurance Company with establishment in Athens, as a Legal Counsel and a member of the Compliance Committe. Mantha holds a Phd in Commercial Law (in the field of D&Os Liabilities in Group of companies), two LLMs in Commercial and Corporate Law (UCL and Law School of Athens) and a degree in Law from the Law School of Athens. She has a wide range of pubilications in Insurance and Corporate Law, whereas also great experiance in academic teaching in the relevant fields. Marios Mortis holds a bachelor’s degree in Business Administration in Accounting, a Master’s in Banking and Finance, and he is a qualified member of Association of Certified Chartered Accountants (ACCA). Marios has developed and conducted professional training courses on corporate reporting, Accounting and Finance, and Financial Workshops. He had, also, participated to researches on the area of finance and accounting in both academic and professional level. He has a working experience in the accounting, audit, advisory, assurance and banking sectors in various positions and companies in Cyprus. During last 4 years Marios continued his path in the education field which is a challenging and interesting field for him. He currently works as a Visitor Academic for a local University in Cyprus, where he is teaching courses such as Corporate Governance and Business Ethics, Corporate Finance, Corporate Risk Management and Audit and Assurance. He also holds the position of Trainer & Accountancy Programmes Leader for a local institute where among others he is teaching many courses of various accountancy qualifications, such as the Cash and Treasury Management, Credit Management, Governance, Ethics, and Risks, Management Accounting, and Indirect Tax. Is a professional with many years’ experience and established career in the financial sector. He has held down a variety of positions in a number of Cyprus Investment Firms. These positions, which include Executive Director, Compliance Officer and Head of Reception and Transition of Orders – which put him in front of clients’ needs – all gave him the tools and skills needed to gain a widespread insight into the field. During his long-standing career, he has expanded his knowledge about the Cypriot and European Legal, Regulatory and Compliance requirements on capital markets. Marek holds a BA in Management and Economics of Aero Tourism and he is currently perusing an LLM (Master in Law) at the Cardiff University. He has also obtained the CISI Financial Services Legal Framework certificate, as well as, the CISI Financial Services Regulatory Framework certificate and an associate of Chartered Institute of Securities and Investments. 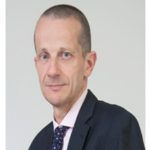 Mark Seaman has worked in fund administration in London, Dublin and Luxembourg since 1982, and has occupied senior fund administration positions at Schroders and Friends Provident. For the past twenty years he has worked as a fund administration consultant, advising over 50 UK and international firms. He has set up funds, third parties and fund governance and oversight arrangements for companies such as Barclays Wealth, RBS, Towry, Close and Santander. Mark has an MA from the University of Cambridge and is a Chartered Fellow of the Chartered Institute for Securities and Investments. Mary – Olive McCluskey is an experienced practicing advocate in Cyprus within the shipping, corporate and financial services industry for over 10 years. She is a member of the Cyprus Bar Association and Director of MCCLUSKEY, MARKIDOU LLC, a law firm in Nicosia which practices in corporate law and litigation. She has a sound understanding of Cyprus company law and the legal framework of regulated entities in Cyprus and a high level of overall knowledge of the Cyprus legal system and Court proceedings. Mary – Olive studied law (Artistotle University of Thessaloniki, Greece) and then pursued a Master’s Degree in European Law (University of Exeter, UK) and is a member of the Cyprus Bar Association since 2006. She is also a licensed Insolvency Practitioner and as such, is appointed as Liquidator in Cyprus companies and is involved in loan restructurings. Michael began his financial markets career in 1986 on the Financial Engineering desk at Yamaichi International, then one of the so-called ‘Big Four’ Japanese securities houses. The desk was mainly responsible for designing, structuring and swapping vanilla and structured bond issues for European clients. He then moved to a coverage role, predominantly in the UK and Eire, with responsibility for some of the more technically demanding clients, including the Bank of England and the European Investment Bank. He greatly expanded the volume of deals done, including a government, major banks, building societies and corporates. The role also involved working on UK privatisations and with the bank and fund management arm. In 1994 he moved to Kleinwort Benson with responsibility for debt, convertible and tax-structured origination with a number of top UK companies and helped launch an FRN. He has been training across a wide spectrum of cash instruments, derivatives, commodities and in risk management and regulation since 1999, at up to senior management level globally, his clients comprising mainly the top tier investment banks and fund managers, and is the author of a textbook on credit derivatives (Credit Derivatives Workbook, Euromoney, 2004). He is an Associate with Moody’s. Mr. Miltiades Miltiadou is an independent Insurance and Risk Management Consultant. He worked in the insurance sector since 1999 and was the General Manager of AIG (Cyprus Branch). He has authored several books on insurance and other subjects and is a visiting lecturer at several universities teaching Insurance Environment (insurance law and regulation), Liabilities Insurance, Motor Insurance, Management Skills, and Insurance Contract Wordings. He holds a Law degree from Athens University, a post grad diploma from University of Amsterdam and is a Humphrey Fellow in Public Administration at the University of Washington. Nikki Johnstone is a senior associate in the Global Banking & Payment Systems practice at Paul Hastings and is based in the firm’s London office. She was recently included in Innovate Finance’s Women in Fintech 2016 Power List. With a broad background in UK/EU financial services regulation, her practice focuses on advising payment and e-money institutions, technology companies, online marketplaces and virtual currency players on the regulatory framework and contractual structuring for the launch of new products, geographical expansion or the impact of upcoming legislative change. Her practice also covers advising new entrants in the crowdfunding and peer-to-peer lending industries both in the consumer and commercial sectors. In addition to her advisory work, she regularly supports the firm’s transactional departments with respect to the sale and purchase of FCA regulated entities, as well as the financing of such firms. Nikki has completed secondments to Apple Europe and the Financial Markets Law Committee. Olympios is a Lawyer and a Member of the Cyprus Bar Assosiation, Partner at C.D. Datashield Privacy Services Ltd and the Data Protection Officer of the Democratic Party. He worked as a Lecturer on European Union Law at various Higher Education Institutions in Cyprus. He obtained his LLB degree from the University of Leicester and his LLM degree on EU Law from the same University. He is a Certified Privacy and Data Protection Practitioner. Panagiotis Nikolaou is a professional with many years’ experience in the Financial Services Sector in general and in the world of Investment Firms in particular. He has worked in CIFs in various positions, including that of the General Manager, Risk Manager, Executive Director, as well as on the front line as Head of Dealing and Brokerage Departments. He currently leads AFXAnts with offices in Nicosia, Athens and Durban. Panagiotis is a full member of Chartered Institute of Securities and Investments (MCSI) and the Society of Technical Analysts (MSTA). He holds CySEC’s Advanced Certification, he is an approved Trainer by the HRDA, and was nominated and sponsored by KPMG and Barclays Bank in 2015 to join “Future Leaders” executive seminars. Panayiotis is a professional with 18 years-experience in the Banking and Insurance Sectors. He is currently the Head of the Risk Management Department of MAP S. Platis, which specialises in advising matters regarding Risk and Compliance. Panayiotis is a Certified Anti-Money Laundering Specialist (ACAMS), a Chartered MCSI at the Chartered Institute of Securities and Investments (CISI), a member of the Project Management Institute (PMI), a member of the Institute of Risk Management (IRM) and a partially-qualified member of the Association of Certified Chartered Accountants (ACCA). He is also a holder of CySEC’s Advanced Certificate in Financial Services Legal Framework and a HRDA accredited trainer. Moreover, he is awarded with the ISO31000 Lead Risk Manager certification, which is the standard for best practices for managing risks in a structured framework, he is an accredited trainer by PECB. Panayiotis holds a Bachelor degree in Computer Science from State University of New York, USA, a Master’s degree in Information Systems from Virginia Tech, USA as a Fulbright Scholar, a Master’s in Business Administration (MBA) and a Master’s in Public Sector Management (MPSM). Paul is Senior Consultant Retail and e-Commerce at Payments Advisory Group, an international consultancy specialized in the payments domain, working together with all stakeholders, including payment processors, banks, corporates, fintechs, retail, and public sector organizations. Payments Advisory Group provides advisory and implementation services, interim management and market research. Paul uses his knowledge and network to help clients to develop strategies on topics such as PSD2 and RTS, online identification, loyalty, blockchain, omnichannel solutions, and more. Paul started his Investment Management career at Royal Insurance in 1983. Following successful completion of the Society of Investment Analysts Associateship, Paul joined the small team managing Royal’s in-house long term UK Equity portfolios. In 1990 he joined the Swedish insurer Trygg-Hansa’s London start-up operation to manage its UK Equity exposure. In 1994 Paul moved into the Private Client arena, as part of the Investment Unit of Lloyds Private Banking & over a two year period diversified away from an exclusive analytical/Fund Management role to incorporate an extensive presentational package on the Bank’s investment strategy. In 1996 Paul took the opportunity offered by the Bermuda-domiciled Bank of Butterfield to head up the global Equity research effort in London in support of the Bank’s (offshore) private client base. In 2000 Paul moved into full time training with DC Gardner, the in-house tailored training arm of Euromoney Institutional Investor, specialising in Fund Management, Equity Markets, Private Banking & Hedge Funds. Mr. Pawan Kapoor, the Chairman and Managing Director of ISF Maritime Services Pvt. Ltd (Est: 2004), Chief Executive of ISF HR Services (Est: 2003), and Founder & Trustee of Inner Search Foundation – A charitable trust (Est: 2000), has vast and varied working experience of over 36 years in the maritime industry of which 26 years has been with maritime education, training, quality assurance, development and management of organizations and related activities. The ISF Group offers a wide range of services in the maritime and allied sectors. Mr. Kapoor is a certified trainer. Besides teaching marine engineering subjects, his experience of developing and running organizations, and interacting closely with management gurus of the well known IIM Ahmedabad, has provided him with the expertise in training in management and human resource areas too. Chartered FCSI, President of the Chartered Institute for Securities & Investment (CISI) in Cyprus. Petros has worked as a finance professional within the securities and investments industry for over 20 years in the areas of private banking, fund management, stockbroking, private equity and principal trading. For the past 10 years Petros has been on the board of a number of micro-finance institutions in Eastern Europe and is currently employed as a Regional Governance Advisor for World Vision International – one of the world’s largest organisations in the field of humanitarian aid and assistance. Petros is an honours graduate in Accountancy, a Chartered Management Accountant, a diploma-holding member of the Institute of Directors and a Certificate of the Institute of Risk Management. Dr Roger Miles advises corporate Boards on effective governance of behavioural risks, including regulated Conduct and Culture Audits. He heads the UK financial sector’s Conduct Academy. Following audit training with PwC in London, he led stakeholder engagement programmes for brands including Barclays and Vodafone, ran banking sector advocacy groups in Westminster and Brussels, and Risk Communications in two HM Government Departments. His current commissions include in-person behavioural research studies of Board engagement with the Senior Managers Conduct control regime, among Directors of regulated financial firms; and developing predictive behaviour-analytic tools with leading ‘reg techs’. He continues (since 2015) to manage a sector-wide initiative involving more than 250 financial firms, to design generic dashboards for reporting Conduct, Culture and Reputation Risk, as now required by behavioural regulators. He is a Doctor of Risk (King’s College London) (specialist fields: social psychology of risk perception; organisational behaviour; regulatory design), visiting lecturer and research associate at Cambridge University (Judge Business School). His PhD research (2005 – 10) into the psychology of “behaviour risk” and banks’ failure to grasp it, accurately predicted the creation and subsequent agenda of Conduct regulators in the UK and worldwide. After graduating from the University of Exeter in 1994 with a BA (Hons) in Accountancy Studies, Richard held roles at Reuters and Bankers Trust before starting his investment banking career as a Compliance Analyst with Deutsche Morgan Grenfell, where he divided his time between the London and Dublin offices. Richard joined Goldman Sachs Asset Management International in 1998, where he was responsible for Compliance monitoring and personal account dealing and helped to develop an automated front-end Compliance reporting tool. Seeking new challenges, he began his training career in 2002 and now has almost 15 years of training experience in Europe, Africa and the Middle East. 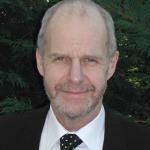 Richard provides training and consultancy services for a number of prestigious institutions and international banks. He trains national regulatory authorities, large investment banks, financial advisors, hedge funds, brokers, money service businesses, law firms, accountants, real estate companies and employees in the oil, precious metals and gambling industries. With Arrow Compliance Training Limited, he is able to collaborate directly with clients to create a tailored programme that meets their needs, and then deliver in a highly interactive session which stimulates interest and knowledge acquisition. Tim is a Chartered Fellow of the British Computer Society (FBCS CITP), a Fellow of Information Privacy (FIP) with IAPP (as well as holding CIPP/E, CIPM and CIPT) and possesses CRISC and CGEIT certifications with ISACA. Based in Copenhagen, Tim Clements works as an independent privacy professional focusing on driving GRC and data privacy projects and programs in global corporations. His background spans multiple industry sectors including construction, press circulation, digital media and since 2001, in IT where he has worked in global market players including Aviva, IBM, Carlsberg, Novozymes and Falck. Tim also possesses a broad set of competences including program management, business analysis, information risk, IT governance and organizational change management that complement his data privacy work. Vivienne has a BA Jt Hons in Economics and Finance as well as an M.Econ.Sc in European Economics and Public Affairs and has gained professional qualifications in programme management. 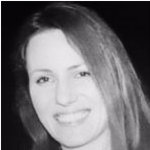 Additionally, Vivienne has over 17 years’ experience in the financial services sector, encompassing policy, operations, compliance and stakeholder and project management roles in leading industry institutions, including the Financial Services Authority (now the FCA), Royal Bank of Scotland and the BBA. Vivienne helps organisations and individuals develop the strategies and skills needed to address the regulatory, operational developmental and change management challenges they face. She has recently established her own company, Granuaile Limited, offering a fresh and unique approach to personal and organisational development. Additionally, Vivienne is currently studying Community Psychology at Brighton University.